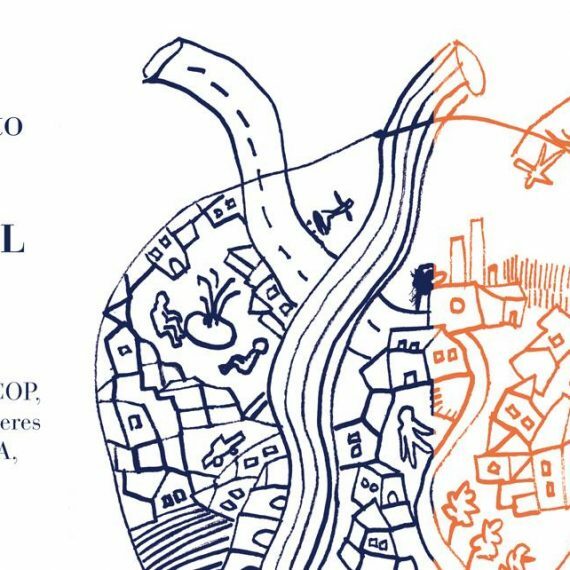 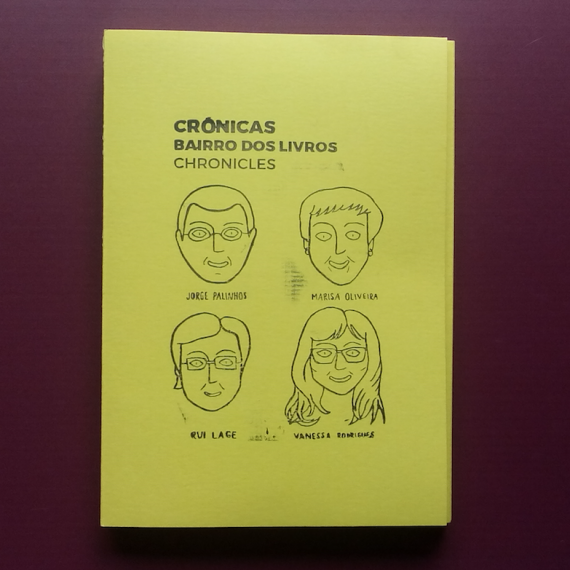 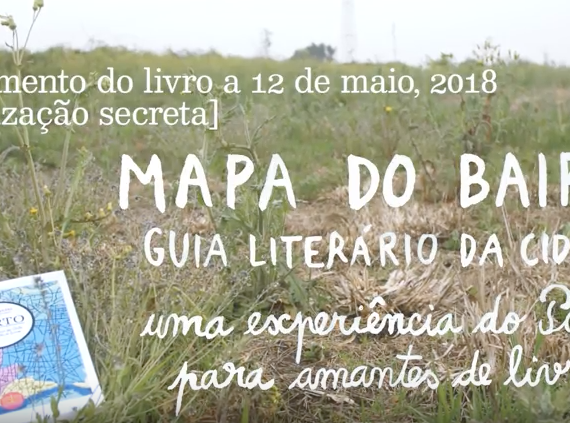 In 2017, driven by the wish to showcase new talents in Art, the new administration of the Livraria Lello decided to transform its display windows into multidisciplinary artistic platforms, and entrusted its curatorship to Bairro dos Livros. 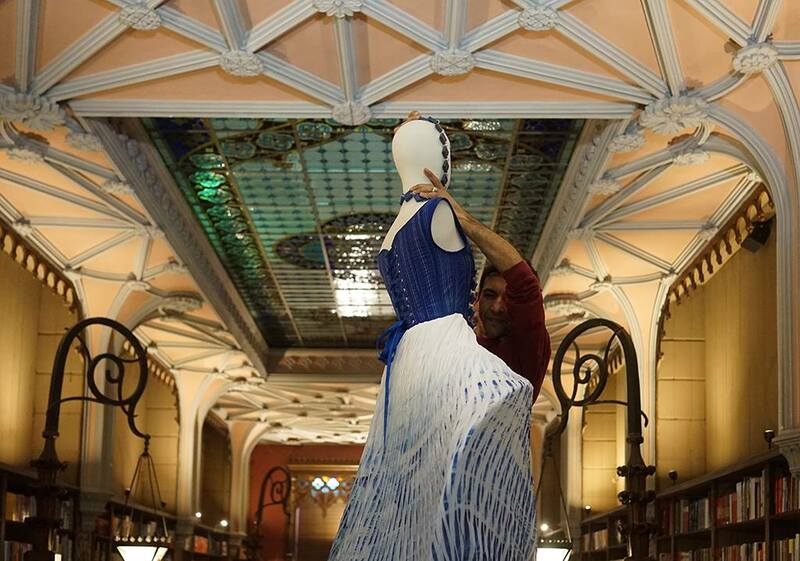 The goal was to welcome the vision of national and international plastic artists, so that the windows of the Livraria Lello can become a stage for its intervention, in communication with the vast architectural and historical heritage of the building, while having an audience made up of its visitors from all around the world. 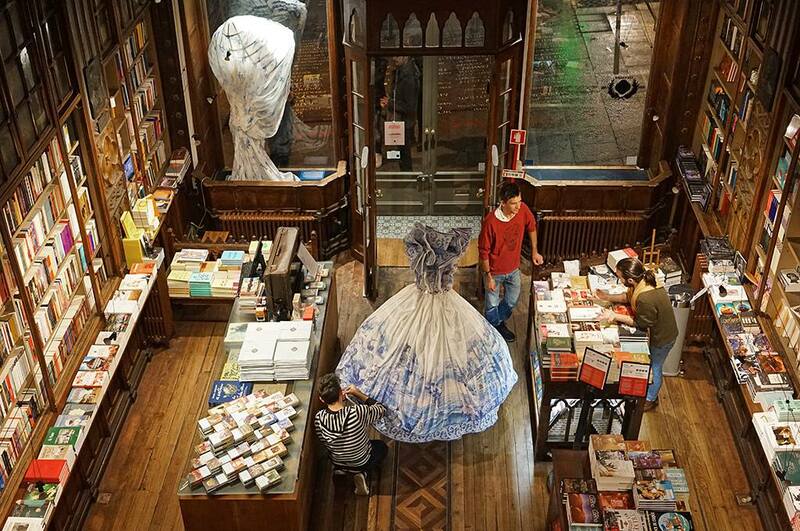 After the showcase of the glamorous outfits inspired by Portuguese tile and porcelain from the young duo of stylists Storytailors, fashion designers whose work is of admittedly literary reference, the bookshop’s windows welcomed the long wooden works of art from the Portuguese artist Paulo Neves. 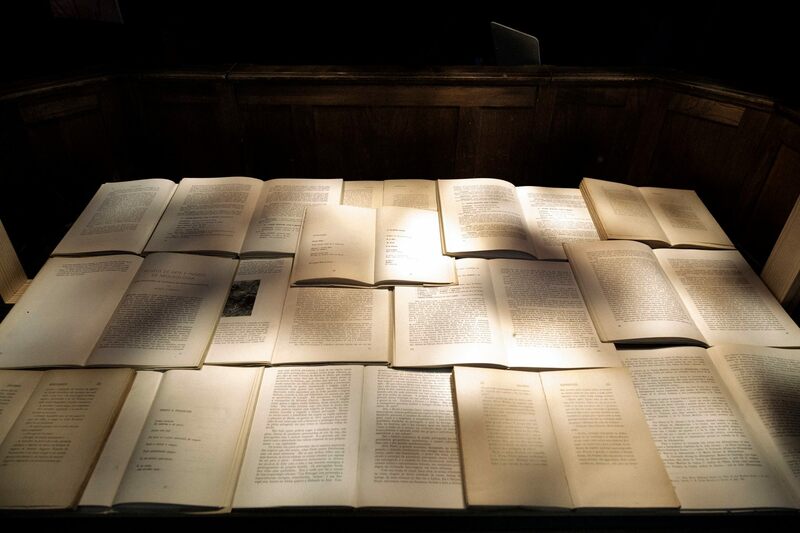 The pieces were featured in the exhibition titled Candelabro and shaped the expression of a new phase for the sculptor, referring to the bookshop as a space of enlightenment and transcendence through books. 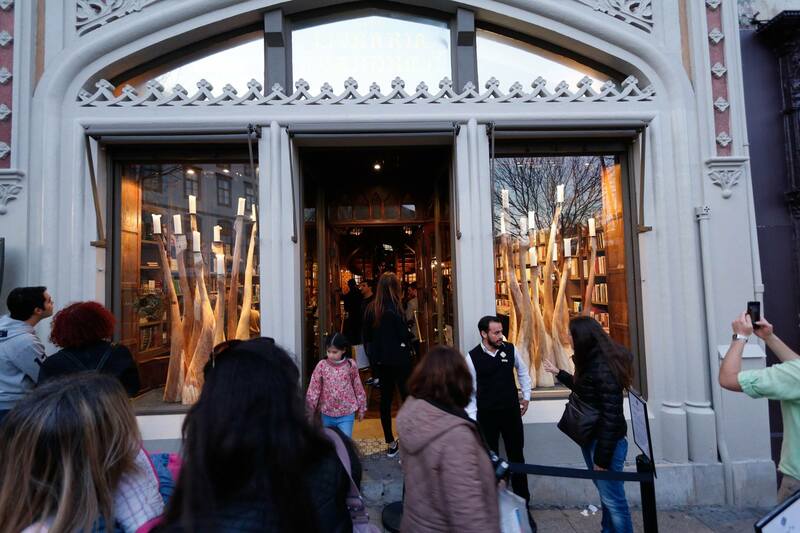 Porto’s collective Openfield Project exposed Fragmentos in the windows of Livraria Lello, a light installation inspired by the poetic work of Sophia de Mello Breyner, which crossed the author’s references to the sea with the luminosity of her verses, carrying the audience to the shadow of a tree in the author’s old house at the Porto’s Botanic Garden. 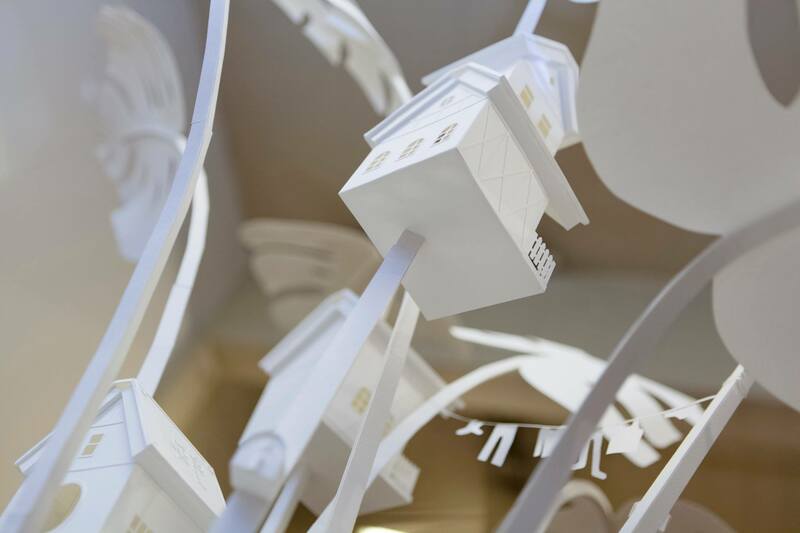 The Plant Life exhibit, by the Dutch artist Vera van Wolferen, was purposefully created for this space of the bookshop, from a universe of boxes, houses and plants, and delicate paper sculptures, with tiny details that invite an attentive and lingering eye from the visitors. 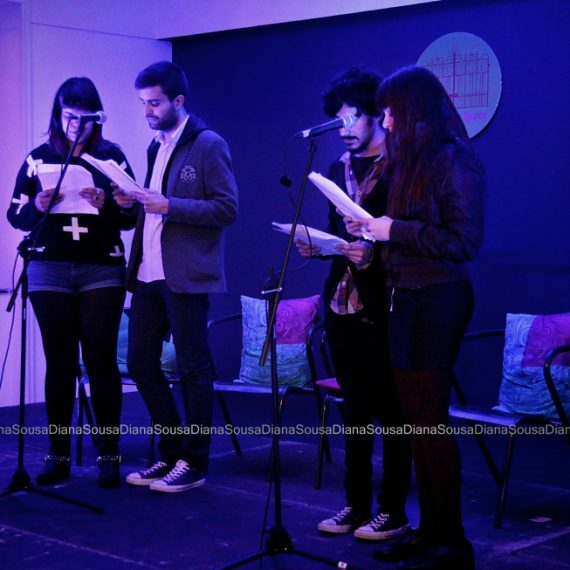 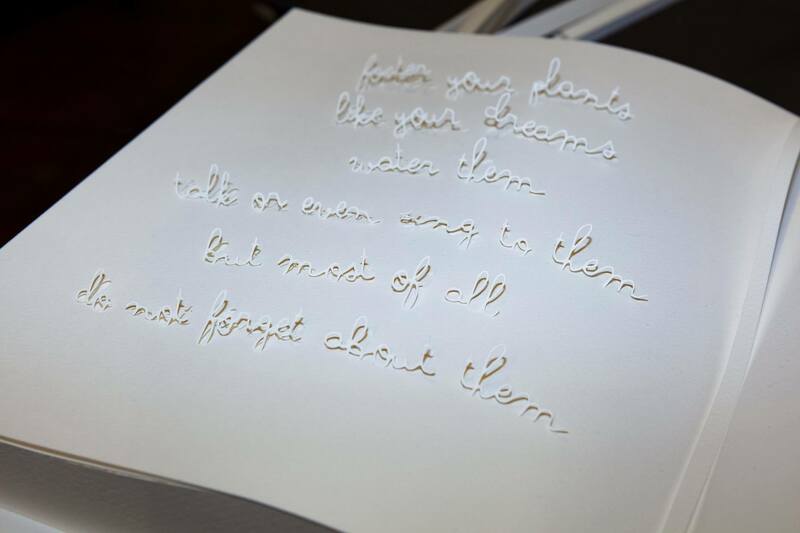 One of the main pieces was that of a book, in which a poem was written with letters drawn to physically leave the pages, with the precision of a scalpel – a reference to the precious books of the centennial Livraria Lello. 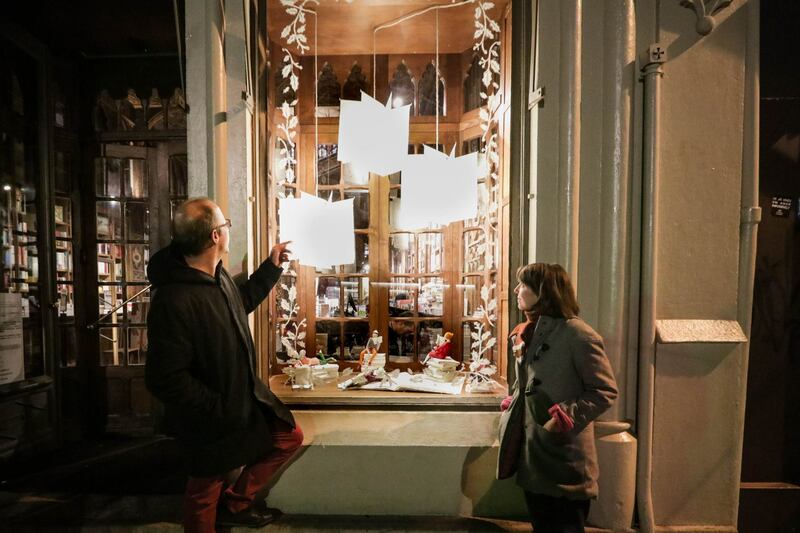 Thanks to its feminine shapes and volumes of bright paper, the French-Canadian duo Papiers à Être, Sophie Mouton-Perrat and Frédéric Guibrunet, was responsible for yet another artistic showcase at the bookshop’s windows. 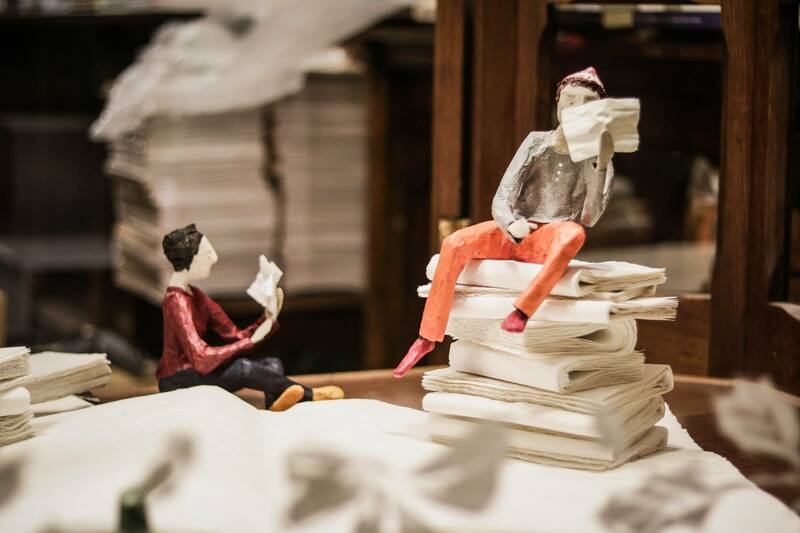 The enchanted and charming girls, made of handmade paper, which Papiers à Être have been touring the world with, have delighted visitors with its winter-like universe and poetic aura.